Learning design research focuses on how educators can act as designers of technology-supported learning activities according to their specific educational needs and objectives. To foster and sustain the adoption of Learning design, the METIS project is working towards the implementation of an Integrated Learning Design Environment (ILDE). This paper presents the vision for the ILDE and how user requirements from three educational institutions in vocational training, higher and adult education justify the need for this vision. The paper discusses the data collected in questionnaires, on-line interviews and face-to-face group work with the end-users, as a first phase in the design-based research methodology applied in the project. 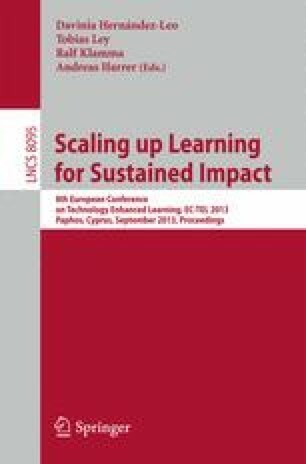 The results support a vision towards an ILDE that enables teachers to choose among multiple learning design authoring tools, (co-)produce, explore, share, evaluate and implement learning designs in Virtual Learning Environments. The paper also outlines a roadmap to achieve this vision.